For a second year in a row our team donated a car in support of our local high schools. This year students were able to raise around $55,000 from raffle tickets. We are excited to be able to give back and help with the schools athletics programs. Also, congrats to Leesa who won the Jeep Renegade! Lithia CJDR of Pocatello donated a brand-new 2017 Jeep Renegade [MSRP @24,965] to the local high schools to raise money for students and their extra-curricular activities. In addition to the car, Lithia covered the cost of printing the 30,000 raffle tickets, 10,000 for each of the 3 local Pocatello high schools, and will cover 100% of the sales tax and fees for the prize winner! At $2 per ticket, local high schools can raise up to $60,000. Tickets are on sale through May 27, 2018 and can be purchased at Lithia Chrysler Jeep Dodge Ram of Pocatello or from any of the 3 local Pocatello high schools. The drawing will take place on May 31, 2018. 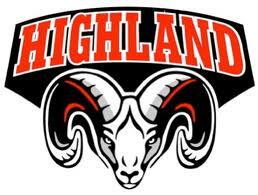 Highland High School - Opened in 1963, Highland was the second of the three traditional public high schools in Pocatello, and serves the northern portion of the school district, including portions of Pocatello, Chubbuck, and Tyhee. It was originally going to be called Gate City, one of Pocatello's historical nicknames. Students voiced their dislike for the name and a vote was held, and the winning name was Highland. Century High School - is a four-year public secondary school in Pocatello, Idaho. Opened in 1999, it serves the southeast portion of the Pocatello/Chubbuck School District #25, and is the newest of the district's three traditional high schools. Pocatello High School - The school was constructed in late spring and summer of 1892, even before the official founding of the township, costing $18, 281. According to the Bannock County Historical Society, the school was originally called West Side School, holding all grades in the same school. Pocatello High School was the most impressive building in the area during the early 1900s and on many occasions the school served as a town square where concerts and athletic contests were held. Two presidents of the United States spoke on the grounds of Pocatello High School, President Theodore Roosevelt in 1902 and William Howard Taft in 1908. In 1914, a fire started in the boiler room and the high school burnt completely to the ground. The school was rebuilt in exactly the same location. In 1939, the old school was remodeled and additions were made including a new gymnasium currently known as the pit. In 1996 major renovations were added to the school which took three years to complete. These renovations included new floors, lights, sidewalks, heating system, and windows. A new gymnasium known as the palace was built between 2004 and 2006. Civil Air Patrol - the official auxiliary of the United States Air Force. Squadrons consist of both cadets and senior members. Today there are a dozen squadrons around our great state of Idaho supporting over 200 Cadets and over 250 Seniors. The three CAP missions Are Emergency Services, Cadet Programs and Aerospace Education. 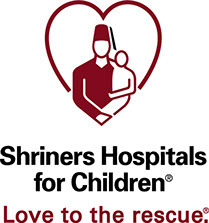 Orthopaedic Care - medical and rehabilitative services for children with congenital deformities and conditions, problems resulting from orthopaedic injuries, and diseases of the neuromusculoskeletal system. Burn Care - treatment for acute and non-acute burn injuries and related scarring, along with physical rehabilitation and emotional support. Spinal Cord Injury - spinal cord injury rehabilitation specifically for children, offering some of the most advanced treatment in the country, with full range of services. Cleft Lip and Palate Care - coordinated, comprehensive multidisciplinary care for children with this condition. Rocky Mountain School of Baseball - More than a traditional Little League, Rocky Mountain School of Baseball provides elite coaching and competition for tomorrow's baseball stars. With teams and tournaments from all over the Rocky Mountain region, Rocky Mountain School of Baseball provides the premier experience for its participants. Juniors Club Volleyball - Local Volleyball club for Pocatello and Idaho Falls. Leadership Pocatello - Leadership Pocatello-Chubbuck is a program sponsored by the Pocatello-Chubbuck Chamber of Commerce. The program consists of one year of training followed by the diplomat year. The Leadership Pocatello-Chubbuck Alumni Association (LPCAA) Board of Directors are responsible for the program/curriculum, participant selection, project selection, oversight of public relations, and finance. As a committee of the Pocatello-Chubbuck Chamber of Commerce the LPCAA Board is governed by a set of Bylaws and Guidelines with the purpose of initiating and maintaining positive action-oriented leadership. Portneuf Wellness Complex - The Portneuf Wellness Complex was built to enhance and improve the health of Southeast Idaho. Some of the active play elements the complex includes are 6 full size multi-use sports fields and one isolated championship field, 2 basketball courts and a sand volleyball pit. A mountain bike park was built in to the existing terrain and a large children's playground provides something for the younger crowd. A state-of-the-art amphitheater houses local events as well as big concerts, festivals and community events. As many as 11,000 people can enjoy these events while lying out on the large grassy hillside overlooking our beautiful mountain scenery. The amphitheater also overlooks a 7-acre lake with a swimming beach and fishing access. The entire complex is looped by almost 2 miles of 10′ wide paved walking paths. There are multiple restrooms, pavilions, concession stands, and parking areas. The complex is designed for all economic levels, all ages, and all abilities. It is a world class, unique facility to serve the broader community. There is something for everyone in a beautifully landscaped area designed in an eco-friendly way to minimize water and maintenance requirements. The Portneuf Wellness Complex was completed in late summer 2015. The Portneuf Health Trust, an owner of Portneuf Medical Center, fully funded this complex as a gift to our community. The complex is now owned and operated by Bannock County. Oneida Crisis Center - The Oneida Crisis Center's program services include a 24-hour crisis hotline; crisis intervention; emergency shelter and services; courtroom, legal, and medical advocacy; legal aid referrals; education and support; community education and awareness. The primary recipients of services are victims of domestic, family and sexual violence, stalking, and child abuse. Program services are aimed at having confidential areas with domestic violence advocates ready to assist clients in their times of duress.